Who can identify the specific beast in the image below? It weighed nearly 60 pounds in the image above. It was nearly 50 inches long in the image above. It took over an hour and 20 minutes to reel it in. It lived and possibly still lives in Portage Lakes. It lived and possibly still lives in the East Reservoir of Portage Lakes. It was caught using a Rapala lure on 10-pound test line. 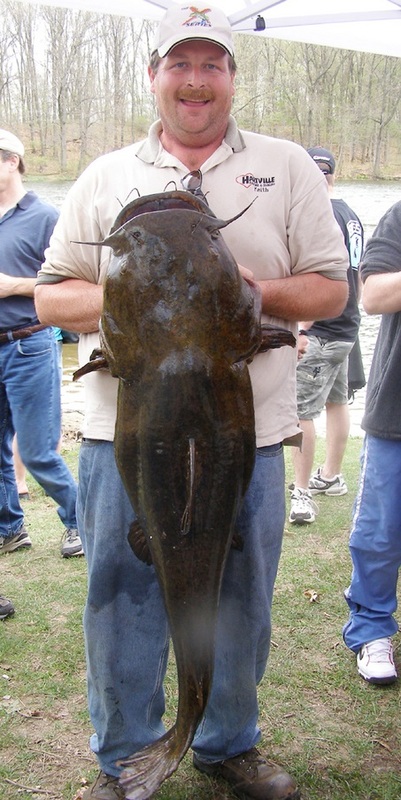 The Suburbanite story is at: Big Cat of the Portage Lakes.